The check engine light pops on without a warning and with no explanation. For most drivers, this means a trip to the mechanic. But the good news is, it’s not really too difficult to diagnose and fix it yourself. Indeed, the check engine light is one of the most annoying, frustrating, and confusing facets of owning a vehicle. It’s a mere light without telling you what the problem is. If your car starts smoking or stalls completely, head over to an auto parts store and have them run a diagnostic to find the cause of the check engine light. Otherwise, you can try to fix it first before heading to the shop for expensive repairs. 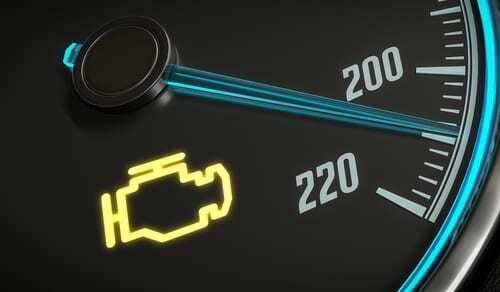 A faulty sensor does not only reduces gas mileage but also increases emissions. An oxygen sensor is easy to replace and is usually detailed in the owner’s manual so you should get this fixed right away. You might think a gas cap is not that important, but it is. When it’s loose or cracked, fuel vapors leak out and can throw the whole fuel system off. If you don’t feel anything strange with your car, the first thing you should check is the gas cap and re-tighten it. Catalytic converters shouldn’t fail if you are keeping up with your regular maintenance. But if yours is failing, you’ll notice a decrease in gas mileage or your car won’t get any faster even if you push the gas. You should fix it as soon as you can and bring it to an experienced mechanic. The mass airflow sensor tells the car’s computer to add the proper amount of fuel based on the air coming through to the engine. If yours is faulty, it can increase emission, cause the car to stall and decrease gas mileage. The labor is relatively simple, and you can do it on your own.